So after a tremulous NBA season The Lakers will meet the Celtics in the NBA finals. It Feels like its 1990 again. Now far be it from me to tell ya’ll I told you so, But I told you so, lol. These teams seemed destined to play each other this year. The Lakers led by season MVP Kobe Bryant, ran through the NBA playoffs like a house fire. In each series they played they were favorites. They swept the Allen Iverson – Carmelo Anthony led Nuggets, Then defeated a very good Utah Jazz team in six games. Then the only match up where sports analyst thought the Lakers would struggle they managed to defeat the defending world champion San Antonio Spurs. The Celtics took a very different path to the NBA finals. After surviving a grueling seven game series with the upstart Atlanta Hawks, The Celtics Faced the Defending eastern conference Champions the Cleveland Cavaliers, the Lebron James, Cleveland Cavaliers. Next came the Detroit Pistons, who for the last couple of seasons have been the benchmark of excellence for the eastern conference. The Celtics up to this point have been undefeated at home during these playoffs. It was the Detroit Pistons who handed them their first taste of defeat. However, The Celtics as good as they were during the regular season, we unable to win any road games during the playoffs. Until game three in Detroit. The Celtics walked away with an 94 – 80 point victory and a series lead of 2 games to 1. after trading victories, the Celtics managed to close out the series back in Detroit, ending the series in six games. So now we have an NBA finals match up of The Lakers vs The Celtics. The match up that many of us grew up watching as kids is revisited, But no Magic vs Bird, But Kobe vs Paul. The two winningest franchises in NBA history match up for the eleventh time for the championship. 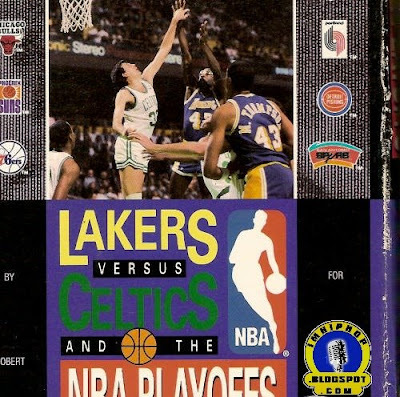 With in the week leading up to game one, I’m sure you will see the advertisements, evoking the memories of Celtic and Lakers Finals of the past. The NBA will have a field day with all this nostalgia. who knows you may even see a throwback or two. Me being from California, I think I have a Magic Johnson throwback in my closet.